how they got involved in music and how they use FL Studio. Multi Platinum Music Producer Stuart "Epikh (epic) Pro" Lowery was born and raised in Chicago, IL and grew up surrounded by music. From the small drum set he played as a child to playing on a Fender Rhodes as an adolescent, his family made sure that music became the foundation of everyday life. Over time, with the help of mentors, he learned to play the piano by ear and began developing his talents as a songwriter and as a producer. His production credits include Bryson Tiller, Lil Yatchi, Skylar Grey, Eminem, Pardison Fontaine, A-Trak, ZZ Ward, CyHi The Prynce, Tamar Braxton, Royce Da 5'9, Cardi B, Lil Durk, YBN Cordae, YBN Almighty J, and Quavo to name a few. He got his big breakthrough in 2015 when he produced the 4 x Platinum record "Don't" for RCA artist Bryson Tiller. Epikh Pro's production has been nominated for Billboard Music Awards, American Music Awards and Soul Train Music Awards. He is currently in the studio recording music for the TV show "Empire" on Fox, Ballers on HBO and FX's hit show "Atlanta, including a variety of artists such as Eminem, Big Sean, Bryson Tiller, HER, Tone Stith, Fetty Wap, Camila Cabello, J Cole, and YBN Cordae. Tell us about yourselves and how you got into music? My Name is Epikh Pro, originally from Chicago IL. I got into music as a young child watching my older god-brother play a Fender Rhodes and a Pearl Drum set and listening to my mother sing in Chicago area gospel groups and later as an R&B singer. As a young child being around so many instruments they were the best toys ever. The love of making music grew and eventually I learned to play the piano and the drums a little bit too. When did you get your opportunity to make music into a career? In 2012 I won a beat battle called iStandard Producer Showcase in Chicago. There I met for the first time S1 Symbolyc One (Kanye West Power, Beyonce Best Thing I Never Had, Eminem Bad Guy, Jay Z Murder to Excellence and the list goes on). After a couple of years proving myself in other beat battles and staying connected to S1, I joined his production team Soul Kontrollerz Production (SKP). Since then I've had the opportunity to make music for a lot of incredible artists both major and indie. We're just getting started but these next few years should be exciting. Which producers inspired you when you started. As a musician Stevie wonder and Quincy Jones were the first major musicians that influenced me. I use to listen to their records over and over again. 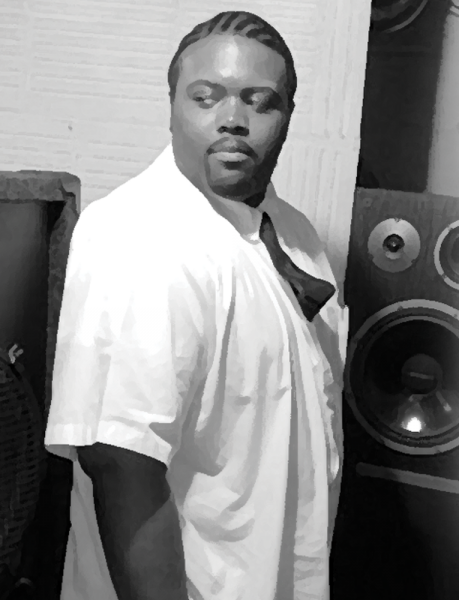 As a producer Rodney "Darkchild" Jerkins and Timbaland were the two major influences to me. When I first started using FL Studio it was their production that really inspired me to keep learning FL Studio. How did you start using FL Studio & what does it mean to your productions? In college one of my friends was trying to be a rapper. He heard some of my beats I made using an old Casio keyboard. He told me about this software he was using that was really easy to learn called FL Studio. I went to the student computer lab, downloaded the demo and didn't sleep for 3 or 4 days. When I purchased the full version and I could finally save, ahh life was great! I haven't been able to live without FL. Each version continues to get better than the last. I use other software but FL Studio is the main DAW I run everything out of. Wouldn't be where I am without it. Tell us about your production environment & toys? Like I said FL Studio is the core, but I use Maschine (which I won at iStandard Showcase) inside of FL Studio so I can alternate using it as a midi controller and as a plugin. I got a whole bunch of sounds and vsts. I got a super old Premier 76 midi keyboard from the 80s (or 70s I think) but the keys feel like a fender. I have an Axiom 25, Focusrite Scarlett and PMC Monitors that I also won at iStandards Showcase. Do you have any links you would like to share? "FL Studio ... is so super-fast and easy"
"FL Studio is the easiest and quickest way to express your creativity"
"[FL Studio] is really easy to get creative very quickly"
"[FL Studio] means everything to my production process"
"I started using FL Studio back when I was young and I loved it from the very first moment"
"I love my Fl studio it has the best sound engine for drums and my drums are what carries my production"
"It took me a minute to adjust to the unique layout, but I quickly fell in love with it. I have NEVER been limited using FL Studio..."
"I love FL Studio. It literally allowed me to express my musical talent and give me a chance to run with the pros." "There is no lag between what idea I have running in my mind to seeing it actually laid down"
"I still use Harmor and Sytrus for about 90% of my synthesizing. They have a unique sound and run super smooth..."
"I tried a lot of music production programs back then, but nothing has gotten me as excited as FL Studio"
"(FL Studio) It means a lot to me that it allows me to make my own workflow"
"I was bowled over by it and no one could get me off the computer"
"I've never been able to get Ideas from my head into a DAW as fast as I do with FL Studio"
"I really like how fast the piano roll is, making it really easy to draw in a melody I have in my head"
"Whether it’s a sound design for film or music production I use FL Studio, because it has all I need." "It has the most beautiful and efficient piano roll I've ever worked with...FL Studio will forever be our DAW of choice!" "FL Studio has the best tools for creating my best workflow in the studio ever"
"FL was the one DAW which was best at visualizing music production and all it's processes"
"FL Studio is vast as the universe, is the place where I can express my imagination without limitations"
"Over the years I tested other DAWs, but always returned to FL for the sake of workflow efficiency and creativity. FL is perfect for my productions, I pretty much know FL inside out..."
"Over the years I tested other DAWs, but always returned to FL for the sake of workflow efficiency and creativity. " "[FL Studio]...blew my mind how you could make a drum pattern within seconds." "[FL Studio]...improves the quality of my tracks and it cleares my mind..."
"FL Studio stood out as the most intuitive..."
"I'm so familiar with it at this point, it's a powerhouse for getting my ideas down." "...it is so much easier for me to put ideas on the computer, and finish tracks much faster than I did before." "FL Studio is a godsend as it allows you to write music tremendously fast, even with just a keyboard and mouse,"
"After I put some music online and got a great response, I started to make music in FL Studio on daily basis"
"from first glance at the piano roll to the playlist, I knew I had been introduced to something special"
"free lifetime updates, and unrivalled forum interaction felt like home to me"
"During the years I have tried out some other DAWs but always came back to FL"
"...my Love for music and FL studio being my pen to the paper I get to tell my story and show the world my vision." "I was immediately hooked and shortly started using FL Studio not just for fun but for my job"
"I do everything with FL: recording, production, sound design, mastering"
"after all these years we still discover new abilities"
"FL Studio is like this magical universe where I get lost every day, I wish that my ears could just keep going all day without needing a rest"
"The workflow in FL Studio is very good. I still haven't found out what every button is for, you never stop learning." "If it wasn't for the friendly fun approach FL Studio has, I don't think I would have been attracted towards making so much music in the start." "Actually I don’t use any hardware at all. With all the plugins nowadays, you can easily create a song"
"I love how there are so many different ways to do one thing and how many hidden secrets there are lying beneath the surface"
"The piano roll editor is unprecedented in FL"
"I've produced over 111 Releases from 45 artists on several albums with FL Studio"
"You can do anything with FL Studio"
"I’ve tried other DAWs after that but none come close to it in terms of creativity and spontaneity"
"The fact that you can drag and drop Audio files, Automation and MIDI Clips onto the same dashboard is amazing"
"FL Studio is my bridge from an idea to a song"
"FL Studio is like an extension of my brain"
"You don't have to worry about neatly placing each sound in their own tracks in the playlist, you can just throw it wherever, its great"
"It's the perfect balance of a sleek, user-friendly program, and a truly badass piece of audio software." "The software goes right to the point and every version gets better"
"...all my records, all my productions, everything was made with FL"
"[FL Studio] I got my hands on it and here I am today"
"...FL Studio is the main DAW I run everything out of. Wouldn't be where I am without it"
"FL is almost an extension of our imagination"
"FL Studio is a very approachable and once you start to have a thorough knowledge of it, it is limitless"
"FL studio really helps me translate my ideas to reality without headache and each version just amazes me"
"...you won't find any other daw with a workflow combined with the stepsequencer and sample browser"
"The community is big and you will find FL Studio users in every genre"
"If I didn’t have it banvox would have never existed"
"You can learn the use of FL in a short time and work with it up to every level"
"Really love the pattern/clip set up. It's amazing how very simple and intuitive everything is." "I like how I can draw my idea's in it really quick"
"I found myself glued to FL studio for days at a time"
"FL Studio ... can help you to create every kind of music in absolutely every genre, the only limitation is your imagination"
"I released a song called 'Electro House 2012' which passed 500k in just some weeks"
"makes the work flow quicker"
"FL means everything for my productions"
"FL Studio means everything to my creativity"
"I've tried other DAWs, but none have suited me like FL Studio, it's something about it"
"...we work 100% on FL Studio, we don't even need another software to master the track..."
"With FL studio, everything is simple, intuitive but you can also push your mixing, your mastering, your editing very far." "All my tracks are made in FL Studio and I still learn a lot from it"
"As both of us know all the ins and outs of the program, a basic beat, sketch, melody or idea is done in minutes"
"FL Studio studio is my main operating system for music composition, it is where literally everything happens"
"What I loved the most how intuitive the UI on FL Studio was and the ease of using the Piano roll..."
"FL Studio's slick, easy to use interface was most comfortable for us"
"FL Studio means EVERYTHING to me"
"The piano roll is miles ahead of any other DAWs out there"
"FL means everything to my productions." "FL Studio is the center of everything I do." "If I have an idea I want to be able to work it out really fast..."
"FL Studio popped up. After trying it out, my mind was blown..."
"I don't know how you folks at Image-Line made it so good..."
"So you can say right now that FL Studio is my life and the main tool to my livelihood." "I don't do any additional processing it's all FL Studio even my mastering." "The interface made perfect sense to me immediately and allowed me to create music within a matter of hours"
"...once i started getting used to the program, well lets just say that I've never looked back!" "FL Studio...we have been hooked on it. It’s the only DAW we are using"
"The workflow in FL is incredible"
"There might as well be no BARE if there is no FL"
"[FL Studio] really shows how flexible the software can be"
"I work FAST, FL Studio is the only DAW that can keep up with me." "I could never have inspiration that quick if it wasn't for the amazing engine of FL Studio"
"FL is such a fresh approach to composition. It literally blows me away every time I work in it." "It is the cornerstone of our productions and without it we would not be able to make the music we do." "Perfect tool for producers in my opinion and I’m very proud to be a Poweruser"
"I have yet to find a software that is as cool and has such a fast workflow as in FL, and believe me I tried everything." "...I don't really endorse anything, but spreading the word of FL Studio has been a no-brainer because it's given me so much"
"FL Studio has been the powerhouse behind many of our productions as Tritonal and remains a go-to production tool"
"FL Studio helped us realize our creative potential and hone our skills"
"It's so addictive! There's too many awesome features to list"
"A fellow Seattle producer introduced me to FL Studio ... I grew up on the cusp of the digital production age and didn't have the money to buy hardware, so naturally software was my go-to move"
"Not only did the patterns in the playlist feel just right, but the piano roll was more powerful than anything I had used before"
"It has the best work flow and out of any DAW I have used"
"The pattern/clip set up is amazing, I mean 'make unique' is just bliss!" "It's simple at the end of the day. Everything they [other DAWs] can Do FL can do better"
"Ever since i tried fl studio, the program and I just clicked"
"FL Studio has a great environment and makes it so easy to be in touch with the tools"
"we haven't met any other sequencer which would help us to lay down our ideas so quickly and simply"
"[FL Studio] really has become a big part of what I am as an artist"
"FL Studio is without a doubt the most important tool in my inventory"
"I use it [FL Studio] for scoring, sequencing, designing sounds, and musical sound design. It's just so easy to work with, and work with quickly"
"...with the incredible depth of the software, I never feel like something isn't achievable"
"My dreams came true when I was introduced to FL Studio. This software has formed a big part of my life & I am so glad because of it I am enjoying my music." "Before you know it I was playing the keyboard, recording melodies on to FL Studio and creating songs"
"I have never left FL because of my love for the piano roll"
"I tried other DAWs like Live and Reason, but nothing got my ideas out faster and better than FL Studio"
"A friend had told me about FL Studio, I ended up going out and getting a copy of it and using it ever since "
"I loved the user-friendly layout. Just a few months later my tracks were already signed away to labels "
"The fruit however struck a chord. It's interface and workflow, everything seemed logical." "I still consider Fruity Loops the most addictive substance I've ever been exposed to"
"Most of my videos start months before I even realise it. That's when I make the music that will eventually inspire the visuals of the video"
"I am instantly able to achieve the desired result and also to create the sound I am looking for." "I quickly came to realize how complex and beautiful the program really was"
"Trying to use any other piano roll after working in FL was like having my mouse dipped in molasses"
"We noticed it [FL Studio] while reading a producers forum, and were instantly hooked"
"When I realized how I could use it as a sound design and production tool I became hooked instantly"
"Nuendo and Pro Tools wasted a lot of my time, and I started noticing that FL Studio was blossoming"
"FL Studio is the fastest and most inspiring piece of software in my workflow." "Don't let people tell you that Logic or other programs are 'superior' "
"Despite working on other platforms occasionally I still find FL the fastest and most powerful way to get my ideas down." "At first, FL stood out to me just because it was vastly more intuitive and usable...there's way too many awesome FL Studio features to list"
"I’ve used every damn thing that can make music, but nothing comes close to FL." "I was first drawn to FL Studio's when a friend introduced me to it and taught me how to make hip hop beats. To this day I have used FL Studio..we are one :)"
On FL Studio: "It came highly recommended through various artists I'd meet on the road. I finally gave it a shot, and it immediately enhanced my production techniques..."
"It means Everything, without FL i wouldn't be producing." "When I took a look at a FL demo version in order to understand it, I discovered that it was the software I always had been looking for." "For me FL studio is the easiest way to project your ideas and anybody can lay out any musical ideas." "FL has always been centric to my studio. It's the cornerstone of my creative process"
"The fact to compose songs and quickly notate ideas on the road within FL Studio was a real innovation for me." "I bumped into Fruityloops at version 3 and Immediately loved it!" "We are known for having an individual sound to our music and FL Studio has been a key part to shaping that"
"It was the Fruity Scratcher that finally convinced me to use FL Studio... It feels like I'm using the hardware but I can save the whole patching system to hard drive." "Once Fruityloops started to use audio and sampler channels, I switched and never looked back! It was tremendously powerful just with those features but no one really realized it until years later." "FL Studio (plus a wave editor) is the only software I ever use ...and since FL added audio recording, my rack mounted hard disk recorder rarely gets switched on." "I used the demo of FL a lot back before I was making any real money with my music. I had been using the old software drum machine Hammerhead, but FL offered endlessly more flexibility and power." "I found the demo while searching on the internet for a program that I could create drumloops with. I ended up finding FL studio and have been hooked ever since. It is more addictive than crack (not that I have tried that)." "A friend of mine introduced me to FL Studio and I instantly fell in love with the sounds you could create as they ALL sounded so BIG. I was Totally Hooked on FL Studio from there!" "... stumbled across FL while surfing. I tried it and immediately Loved it. I was still into hardware at the time but slowly over the last few years have transferred my work to PC exclusively with FLS." On Fl Studio: "It means I can create multi-track drum loops, music loops or even entire songs and dump them straight into Pro Tools for further mixing." "FL means a whole lot, if I were restricted to one item of music software on my PC, it would certainly be FL." "Probably around '98, a friend showed me FruityLoops. I just thought it was the coolest piece of software." "A friend of mine showed me Fruityloops when I visited his place for a LAN party, and I got hooked right away." "It’s ease of use and fast results are what get the ideas down as fast as they come to my head, and that’s really important for me"
"The programs we use are Cool Edit Pro and FL Studio. Those are the two programs that we use, and that's what we did the whole album on." "It is very good to see a product like FL Studio which is available to all and doesn't cost $10000000000 of dollars"